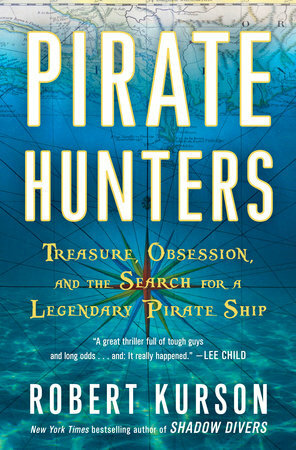 The gripping true story of bitter rivalries on the high seas, a brilliant 17th-Century pirate captain, and the two adventurous men determined to find his treasure. Captained by English nobleman-turned-pirate Joseph Bannister, the Golden Fleece was a pirate ship sunk by the Royal Navy in 1686 taking with it many fortunes’ worth of gold. When present-day adventurers John Chatterton and John Mattera hear of it, they know they have to risk everything to get their hands on it. 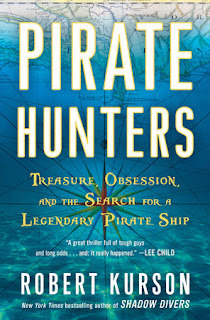 Bestselling author Robert Kurson not only recreates the break-neck excitement of their search for the lost ship, but also vividly re-imagines life on the high seas in the Golden Age of piracy in this thrilling true-life adventure. This was brilliant. I often like to read a true story and what a true story this is! It's not only the story of Joseph Bannister, but the story of the men who were looking for his ship, The Golden Fleece - John Chatterton and John Mattera. Giving such an insight into the background of the two Johns meant that I could empathise with them and understand their frustrations at times. In fact the early years of John Mattera was almost like reading about an episode of the Sopranos! John Chatterton on the other hand flirted with danger and showed no fear diving to places where others would not contemplate on going. I'm not sure what is more scary - the threat of the mob or the danger of the bends. I was really interested in the process of hunting for a wreck - I had no idea that you had to have a lease to search the waters. In this case, the lease belonged to the renowned treasure hunter, Tracy Bowden, who gave the Johns instructions on where to look for the Golden Fleece. The story gets really interesting when the Johns become frustrated with their futile search in one area and try to persuade Tracy to search elsewhere. I thought it was going to come to blows on more than one occasion! Mattera's interest in history meant that he cleverly used historical records to try to get into the mind of Joseph Bannister that ultimately led to the discovery of the Golden Fleece. This is where the events of 1686 and the 17th Century are described in such vivid details for us. Why men, and sometimes women, became pirates and what the could expect of life on the high seas. There was a heart stopping moment beforehand when somebody claims to have found the Golden Fleece and I let out an audible "Oh No!!" 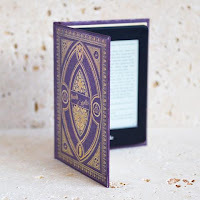 - this isn't a spoiler, history tells us that Chatterton and Mattera found the Golden Fleece but I was so engrossed in the story that I felt their disappointment and incredulity with them! The book touches on the German U-boat that John Chatterton discovered off the coast of New Jersey and I'll certainly be adding Robert Kurson's Shadow Divers to my reading list. This is a must read book for anybody wanting to learn more about the real Pirates of the Caribbean. It really does read like a fast paced thriller and I sometimes forgot I was reading a true story. A real swashbuckler of a read that has piqued my interest in underwater salvage.